was sold during the year for $44,000. c. The company declared and paid a cash dividend during the year. issues of stock were made. e. The company did not retire any bonds during the year. 1. Using the indirect method, compute the net cash provided by operating activities for 2011. 2. 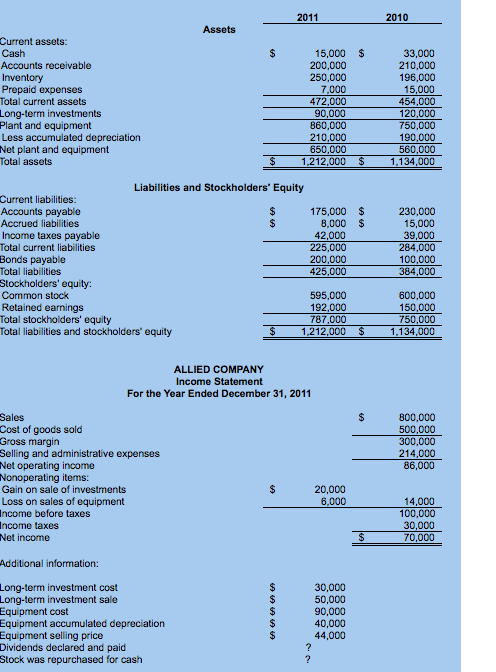 Prepare a statement of cash flows for 2011. 3. 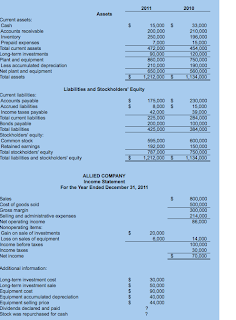 Compute free cash flow for 2011.